Needing a rental car is rarely a fun experience. Usually you need one because your own car has unexpectedly blown itself apart, or you’re on holiday and you simply need to get from the airport to a hotel. After many dollars of security deposit have been relieved from your credit card, you are at the mercy of the rental car gods in terms of car selection. These often bland, beaten-up, and boring vehicles are all you have to choose from. That was unless you were renting from Hetrz in 1966! The Shelby name was well established in motorsport with Carroll Shelby already a Le Mans 24 Hours legend, and his team making a success of the Ford GT40 program. However, the real money maker for the business was selling high performance cars for the street that fans and enthusiasts could buy. Shelby had started offering enhanced variants of the popular Ford Mustang called the GT350, but the new car needed some form of promotion. In 1966 Shelby and Hertz car rental teamed up for a genius bit of promotion. Shelby prepared a series of distinctive black and gold GT350s just for Hertz. For just $17 a day people could rent these distinctive muscle cars and get a taste of what life with the V8 performance machine was like. It meant that more people were exposed to what driving a Shelby car was like, and the eye-catching color scheme served as a mobile advertisement for the ‘Rent-A-Racer’ initiative. 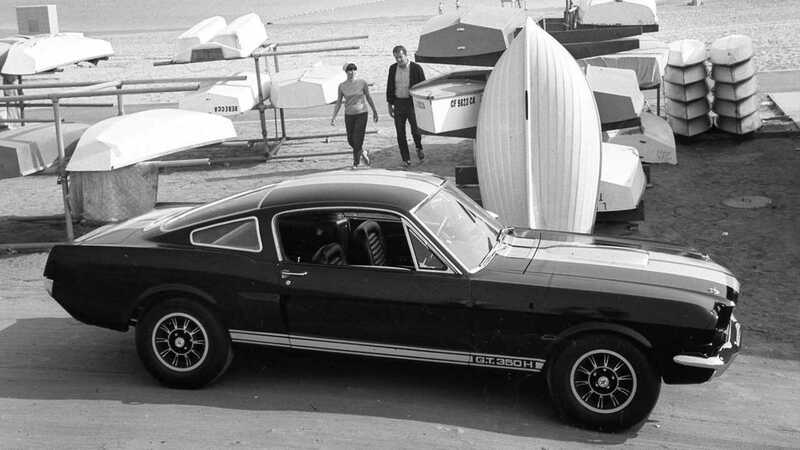 These now iconic Shelby Mustangs were known as GT350H cars, and were fitted with a Cobra 289 cubic-inch V8 packing 306 horsepower and 329 lb/ft of torque. The first 85 Hertz cars were fitted with four-speed manual transmissions for the real performance car experience. However, the subsequent 800 or so cars were ordered with automatic gearboxes for ease of use by often inexperienced customers. 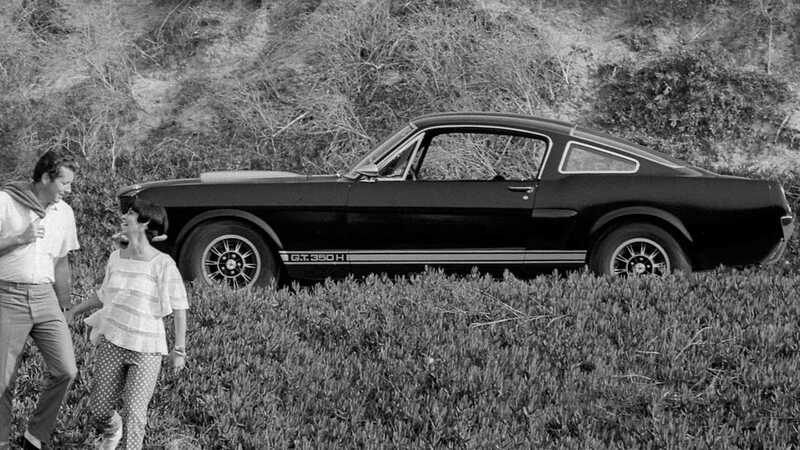 These Shelby GT350Hs were serious performance machines, and according to rumor some came back with evidence of being entered into competition racing. It’s said that the odd rental model was returned to Hertz with evidence of temporary roll bars being in the vehicle. Hertz’s agreement with Ford stated that all examples were to be returned after their rental careers, before being refurbished and sold to the general public. Today these cars are highly collectable with some being worth up to $150,000 dependent upon its provenance. Early manual models are the most sought after. The marketing strategy proved positive for both Shelby and Hertz, with the black and gold cars also being fondly remembered by the public. 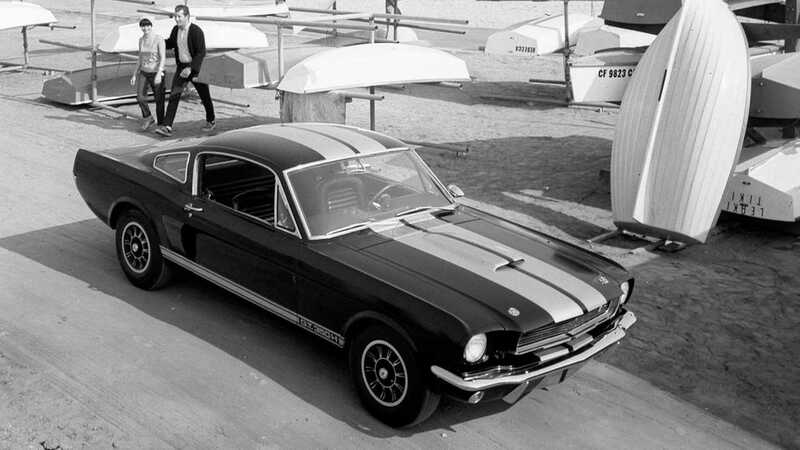 In 2006 the publicity stunt was recreated to celebrate the 40th anniversary of Shelby’s GT350H. 500 Shelby GT-H cars were produced being based on the Mustang GT with a Ford Racing Performance FR1 Power Pack. In 2007 a convertible variant was created with a custom light bar. All of these Shelby GT-H cars were only available through Hertz. In 2016, for the 50th anniversary of the original ‘Rent-A-Racer’, Shelby went to town creating a a new GT-H model for Hertz’s ‘Adrenaline Collection’. Using the 5.0-liter V8 Mustang GT as a starting point, enhanced suspension, exhaust, wheels, and bodywork was added. Just 140 cars were built, with some still available to rent today. The Shelby GT350H is undoubtably the best rental car there has ever been.